The son of a police deputy has been arrested as the suspect in three fires at black churches in southern Louisiana, officials say. 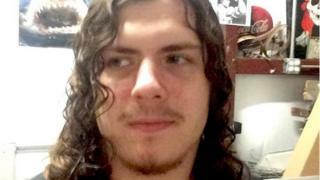 Holden Matthews, 21, was arrested on Wednesday and charged with three counts of arson on religious buildings. The burnings did not result in deaths or injuries, but evoked painful memories of the civil rights era. Louisiana Governor John Bel Edwards said the “evil acts” dredged up “a very dark past of intimidation and fear”. Louisiana State Fire Marshal Butch Browning told reporters on Thursday that each of the three counts against the suspect carries a sentence of up to 15 years in prison. St Landry Parish Sheriff Bobby Guidroz said Mr Matthews’ father, sheriff’s deputy Roy Matthews, “knew nothing about his son’s activity” and “broke down” when he was informed. The deputy then helped facilitate his son’s arrest by getting him to an area where police could detain him “without incident”, Sheriff Guidroz said. Officials said Mr Matthews had complied with police during the arrest. He had no criminal record or history of violence. The fire marshal said investigators are vetting “several motives”, but had learned Mr Matthews was involved with a type of music known as black metal that, he added, had historical associations with church burnings. His Facebook page lists him as the lead singer and songwriter of a heavy metal band called Vodka Vultures. Mr Matthews had also commented on posts about neo-Nazi black metal musician Kristian “Varg” Vikernes, who was jailed in 1994 for murder and church burning in Norway, the Daily Beast reported. Black metal music, an extreme subgenre of heavy metal, often contains references to Satanism and pagan beliefs. Some extremists within the genre, like Vikernes, are also proponents of white nationalism. “There were extraordinary means taken to bring safety to this community,” he added, without elaborating. The fires took place in Opelousas (population 16,000) on 26 March, 2 April and 4 April. The suspect lives in the community. St Mary Baptist Church, the Greater Union Baptist Church and the Mount Pleasant Baptist Church were razed by the conflagrations. The FBI is now investigating whether the incidents were “bias-motivated”, but would not comment further. Rev Gerald Toussaint of Mount Pleasant Missionary Baptist Church, speaking on behalf of the targeted churches, said the future was “bright” as the difficult time brought the community together in new ways. The National Association for the Advancement of Colored People (NAACP) called the church burnings incidents of “domestic terrorism” against people of colour. Greater Union Baptist Church Pastor Harry Richard told CBS his grandfather helped found the church over a century ago and the fire had damaged his family’s history. State and local police, and the Bureau of Alcohol, Tobacco, Firearms and Explosives (ATF) were also involved in the investigation.